Pastor Duck is married with two grown children. Dr. Duck first pastorate was in 1975 at Union Valley Baptist Church near Ada, Oklahoma. He has been the pastor for First Baptist Church of Strafford, Chattanooga, Sentinel and Woodward. Pastor Russell has been FBC's Senior Pastor since 2001, but Dr. Duck's first pastorate was in 1975 at Union Valley Baptist Church near Ada, Oklahoma. He has been the pastor for First Baptist Church of Strafford, Chattanooga, Sentinel and Woodward. Graduate of East Central Oklahoma State University Master of Divinity from Southwestern Baptist Theological Seminary Doctor of Ministry from Southwestern Baptist Theological Seminary. Matt earned a Bachelor of Arts degree in Education from the University of New Mexico and a Master's of Divinity from Southern Seminary in Louisville, Kentucky. Matt has been in ministry since 2005 and has served as a Senior Pastor and a Missions Pastor. Matt was born and raised in Farmington, New Mexico and comes to Elk City from Albuquerque, New Mexico. As a young adult, Matt surrendered to the call to ministry. Matt has been married to his high school sweetheart, Charity, for 15 years. Together, they have two children, Gavin and Cassidy. Lance has served as a minister for First Baptist Church of Holiday, Tx, Carthage, MO, and Marlow, OK. He was also at Plainview Baptist Church in Krum, Texas, and Hillcrest Baptist Church in Lebanon, MO. 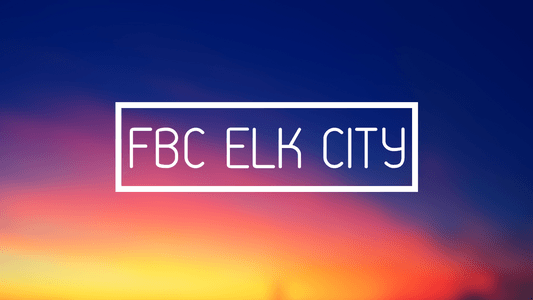 He has been on staff at First Baptist Church, Elk City since September of 2011. Lance is a graduate of Oklahoma Baptist University and Southwestern Baptist Theological Seminary. He was ordained to the Gospel Ministry by First Baptist Church, Springfield, Missouri. Lance is married to Michelle Lawrence Jones, a natural light photographer. They have three children, two grown sons and a daughter that just graduated from Elk City High School as of 2018. Lance enjoys spending time with his family and assisting Michelle at photo shoots. 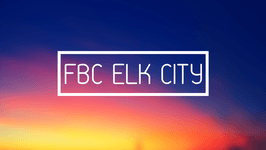 Michael David has been the Children's Pastor at FBC Elk City since February 2012. He and his wife Brandy have been married since 1993 and they have 4 children. He enjoys spending time with his family while going to various sporting events, hunting and cycling. Boomer grew up in First Baptist Church, Inola. After graduating high school in Purcell, OK, Boomer attended The University of Oklahoma where he studied Letters - a degree combining History, Literature and Philosophy. In May of 2010, he felt called to serve on the mission field and for three months he lived in Seville, Spain. Initially, Boomer believed he wasn't the right fit for full time ministry. However, his time in Spain helped him clarify his call to ministry and serve the local church. He has been in vocational ministry for 5 years and serving in Norman and Hollis, Oklahoma and currently in Elk City. Boomer and Mackenzie met at Super Summer as students and have seen God move in their lives in the days since then. Mackenzie is an elementary teacher who loves music and teaching kids. They were married in the summer of 2016 and gave birth to their first child in summer of 2018. Boomer is also currently pursuing a Master of Divinity.